Armin Arnoldt of Dreamscape Farm in BC describes the methods he uses to avoid frustration and ensure safety. You probably turn your horses out in a paddock or field every day – and then catch them up again when it’s time for supper – without really giving it much thought. But there is a right way and many wrong ways to accomplish this simple task, especially if you’re dealing with young or fractious horses. First, having proper equipment is important. Halters should be lightweight leather and easy to get off; leads should have snaps that come undone easily. “We will leave leather halters on young stock in the field, especially if they don’t like to be caught up,” explains Arnoldt. Gloves are a good idea for handlers, as well. 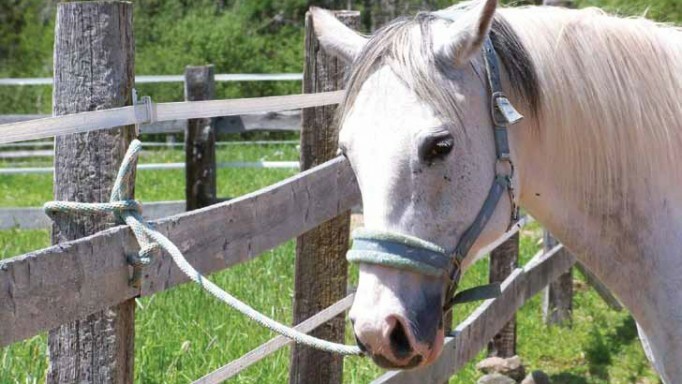 If you have a horse that is anxious to be released, or bolts before you can get him unsnapped, Arnoldt suggests using a second halter or a second lead rope. 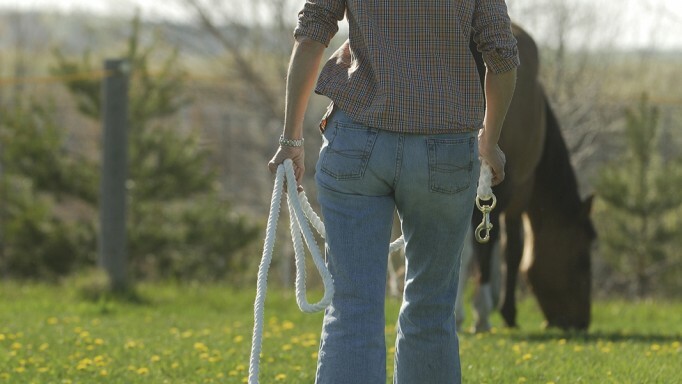 With two halters, you can ease off the first halter, but the lead remains snapped to the second halter so that you can remind the horse that he’s still under your control. The same is true if using two leads; unsnap the first one while still controlling with the second. 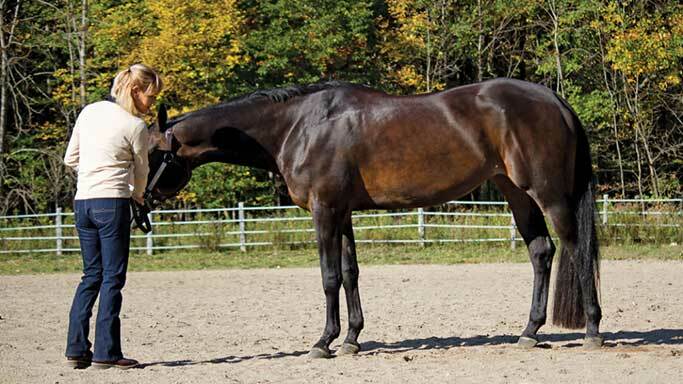 Of the three gaits, the walk is by far the one that tends to be neglected in daily training. Help for horses that rush off the trailer. 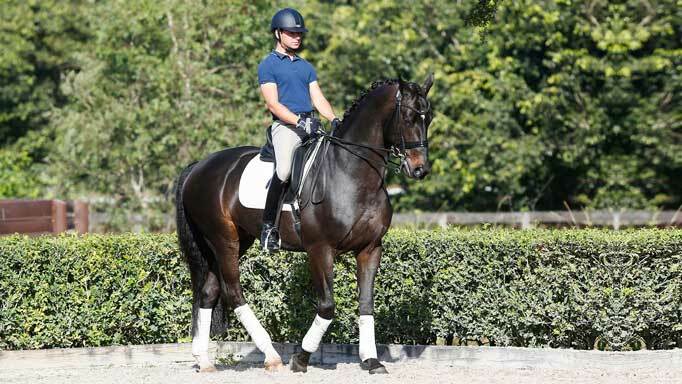 Lindsay Grice gives advice for positioning your horse, quickly and consistently.